I wanted to create a clean masculine card for my dad for his birthday this year. 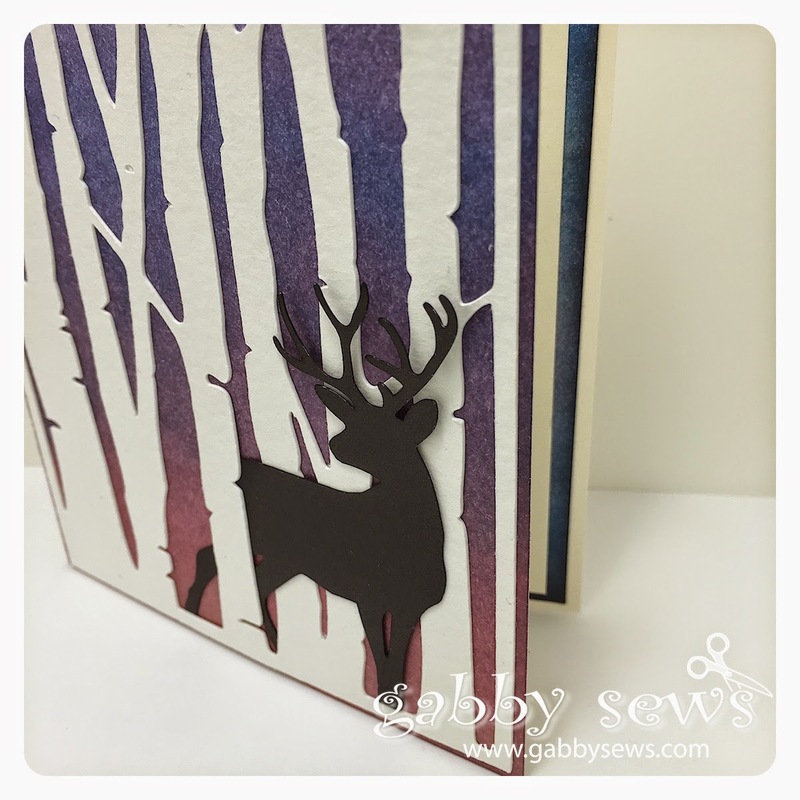 I used some dies from Taylored Expressions for the birch tree panel and the fabulous deer. 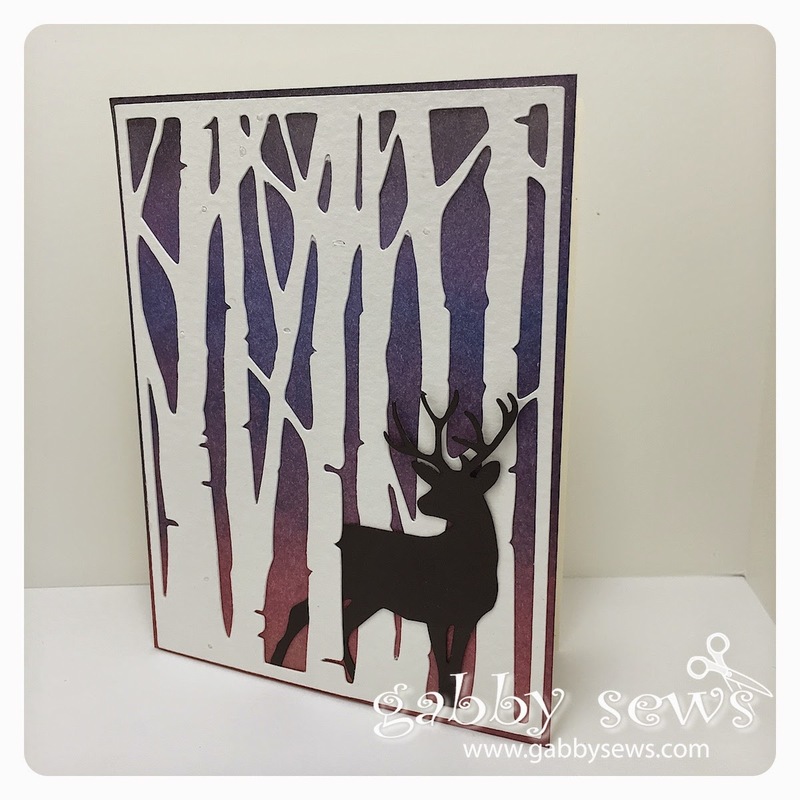 I used watercolor paper for the trees so they would stand out and some black cardstock from Close to My Heart for the deer. I really love our black cardstock. It almost has what looks like a very faint shimmer and cuts so nicely! It does have a white core so I just took a black marker and ran it along the edges and no more white showing!